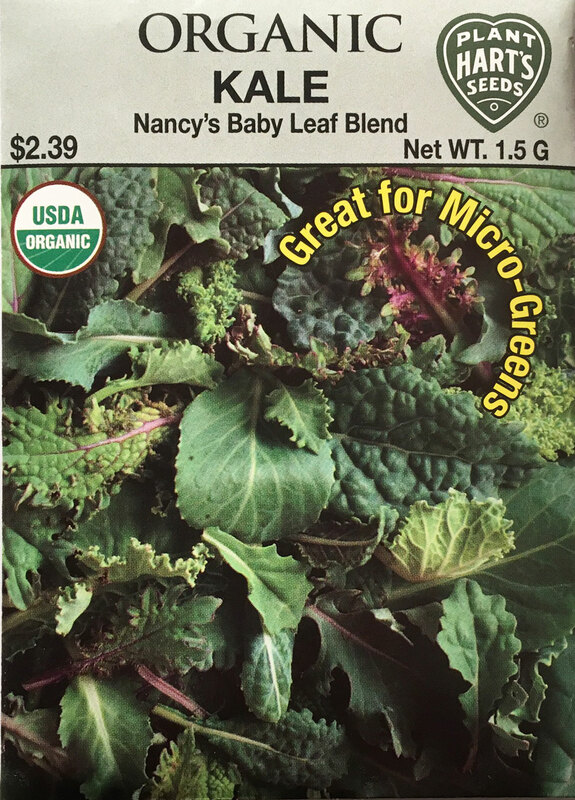 The perfect blend of tender kales for baby greens, mature plants, and even micro-greens. An assortment of greens, blues, reds, and purples; some smooth-leaved, some ruffled. Grown as micro-greens, plant seeds 1/2 apart, inside or in the garden. Begin harvest by cutting the tiny plants at the soil when the first true leaves appear. Aprox. 15 days. 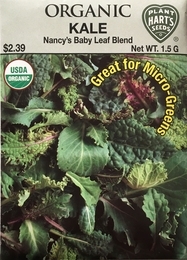 Thinning - for baby greens, no thinning needed. Begin harvesting when leaves are 3-5 inches. For more mature plants, thin to 15-18 inches apart when plants are 4 inches high. Eat your thinnings!